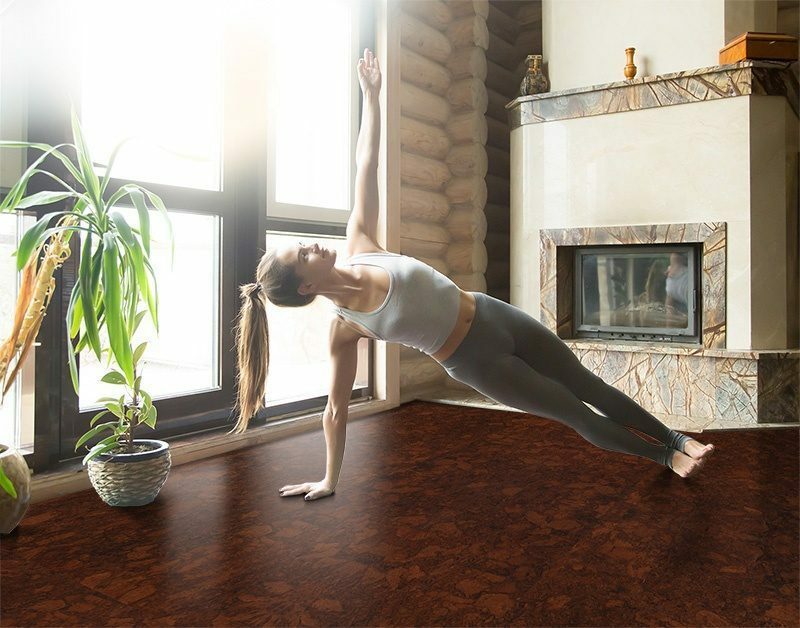 Cork flooring has been installed in numerous yoga studios and exercise centers around Canada and the U.S. 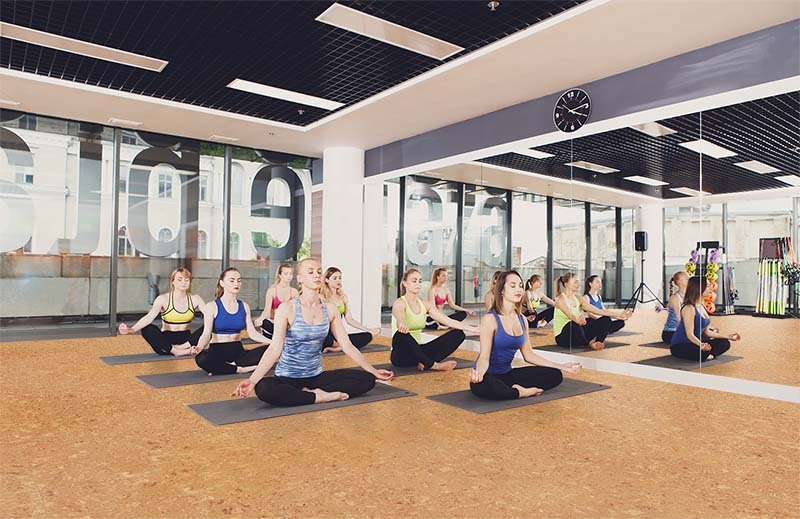 Many yoga and fitness studios are discovering the utility and comfort of a cork floor. It is the ideal surface on which to hold fitness sessions. Impact resistance is the hallmark of Cork flooring products. 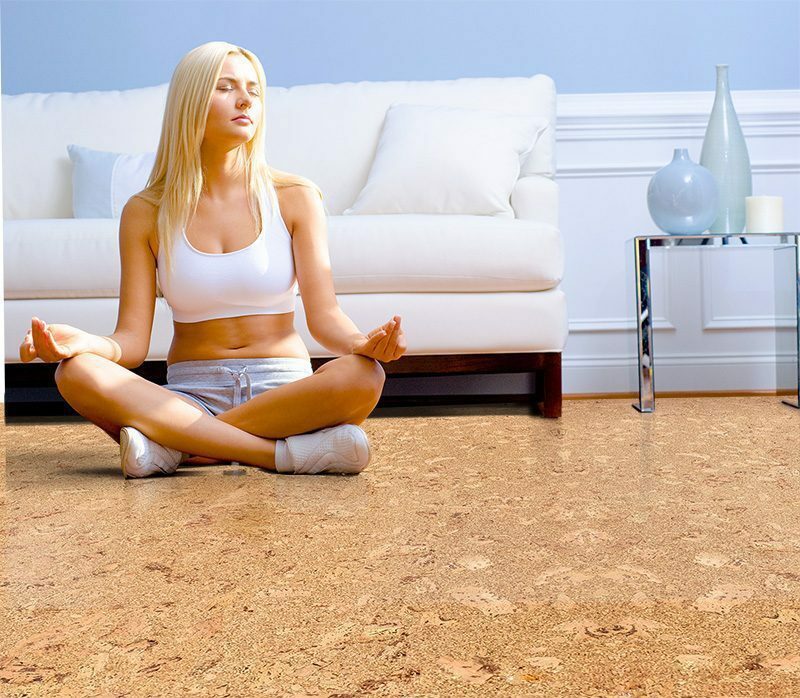 This natural ability of cork is perfectly suited for fitness spaces designed to reduce heavy impact on the joints. Cork’s cushiony warmth adds to the serene flow of the yoga studio. Its sound absorption excels at corralling the heart pounding beats of Zumba so as not to interfering with the tranquility of the yoga studio or from concentration of the Tai Qui forms being produced down the hall. Cork is nature’s work-out flooring. It is easy to install and easy to maintain. Its anti-microbial properties come to the fore when placed in areas exposed to skin and sweat. Viruses and bacteria find cork and its suberin (a waxy substance produced by plants) a hostile environment to set up colonies. Concerns abound around healthy products and healthy lifestyles. It doesn’t make sense to install a floor with little or no health benefits in an environment designed for health aficionados.